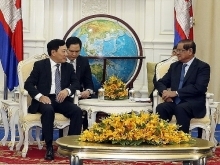 International integration and engagement in new-generation free trade agreements (FTAs) have opened up a fresh development space for the Vietnamese economy, President Tran Dai Quang has said. The 13th National Assembly (NA) Standing Committee has decided to convene the first session of the 14th NA on July 20th, and to conclude it on July 29th. 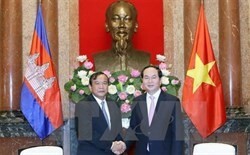 President Tran Dai Quang hosted a reception on June 22 for Cambodian Minister of Foreign Affairs and International Co-operation Prak Sokhonn, who is on an official visit to Vietnam. 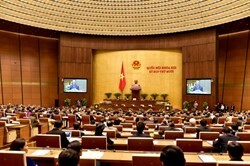 A grand meeting was held at the Cultural Friendship Palace in Hanoi on June 21 to celebrate the 91st anniversary of the Vietnam Revolutionary Press Day (June 21, 1925-2016) and present the tenth National Press Awards for outstanding press works. 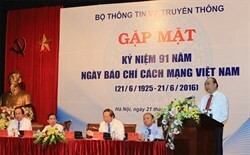 Prime Minister Nguyen Xuan Phuc asked media agencies nationwide to continue renovations so as to further promote their core role in providing information for the people during a meeting with journalists nationwide on June 21 on the occasion of the 91st anniversary of the Vietnam Revolutionary Press Day. 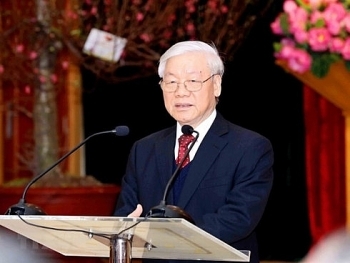 General Secretary of the Communist Party of Vietnam’s Central Committee Nguyen Phu Trong left Hanoi on September 5 morning, starting his official visit to Russia at the invitation of Russian President Vladimir Putin.